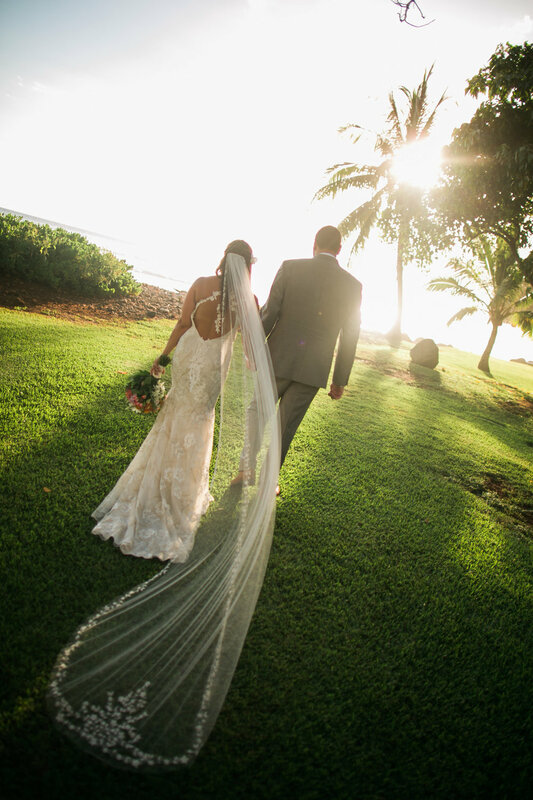 Hawaiian weddings, with their exotic romance, lush landscapes, and bright colors, steal our hearts every time. 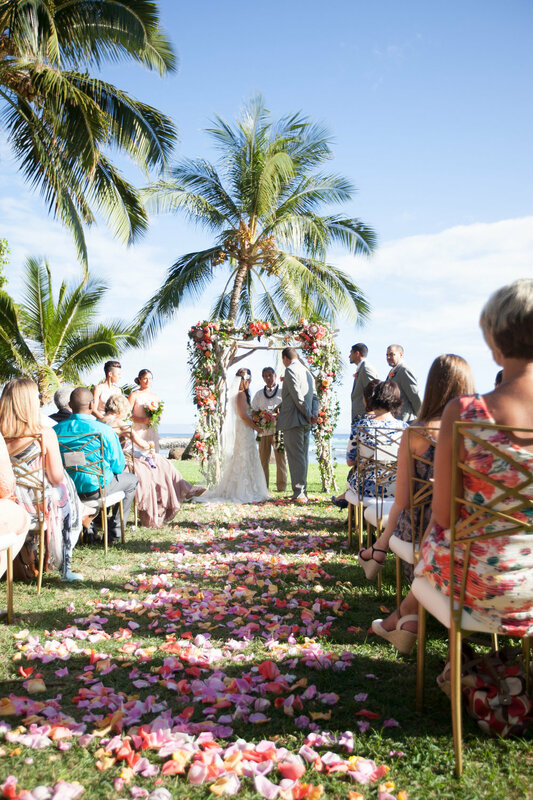 Add the sweetest couple (who are clearly so madly in love) and a wedding dress by Claire Pettibone, and this destination wedding is one of our all-time favorites. 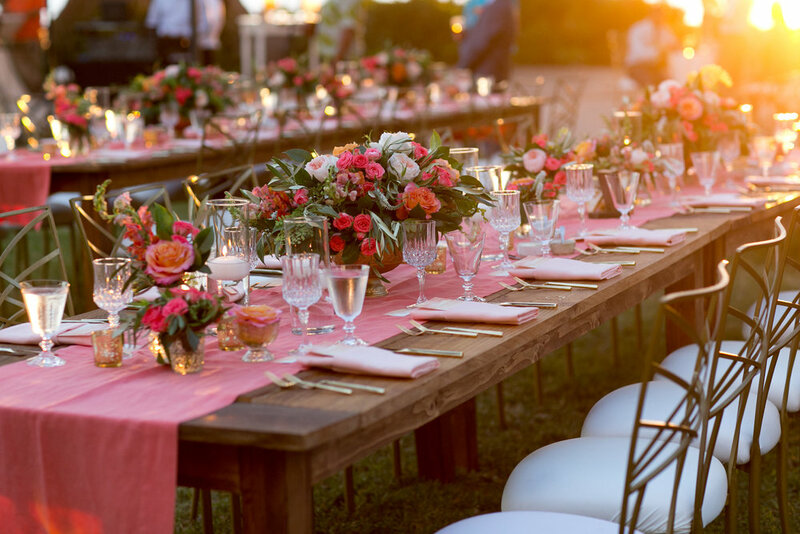 Megan and Erik's celebration is absolutely gorgeous in every way, and the photos by Joanna Tano Photography completely transport you to the warm Maui evening. Megan chose the Claire Pettibone Devotion gown, a Claire Pettibone Heirloom veil, and a Twigs & Honey hair vine, all from Little White Dress. 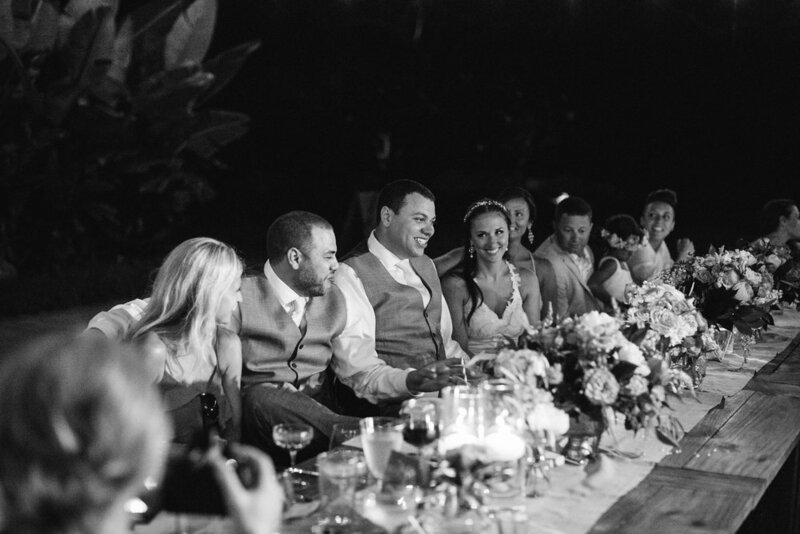 She gave us the inside scoop on her and Erik, their wedding, and Megan's unforgettable dress. Erik and I met at the large healthcare system we consult for in Sacramento. We were introduced on my first day of work and I was immediately drawn to him. I wasn’t sure what it was that intrigued me but I wanted to find out. A wonderful friendship developed over the next several months and we looked forward to traveling from Denver (me) and Cincinnati (Erik) to California to spend time together. Eventually, we confessed our feelings for one another and started dating soon after. 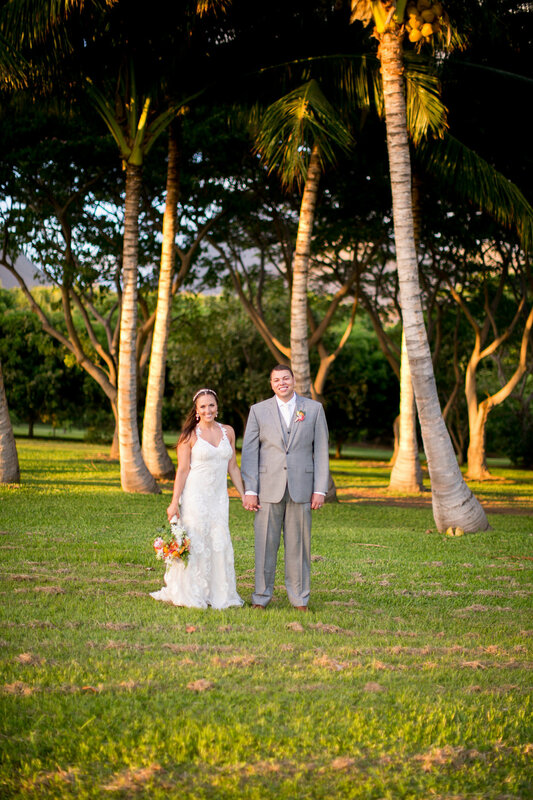 What made you decide to get married in Hawaii? We took our first trip together to Hawaii and it’s also where I thought “he could be the one.” Since then we’ve taken many more trips but there’s nothing like returning to Hawaii. 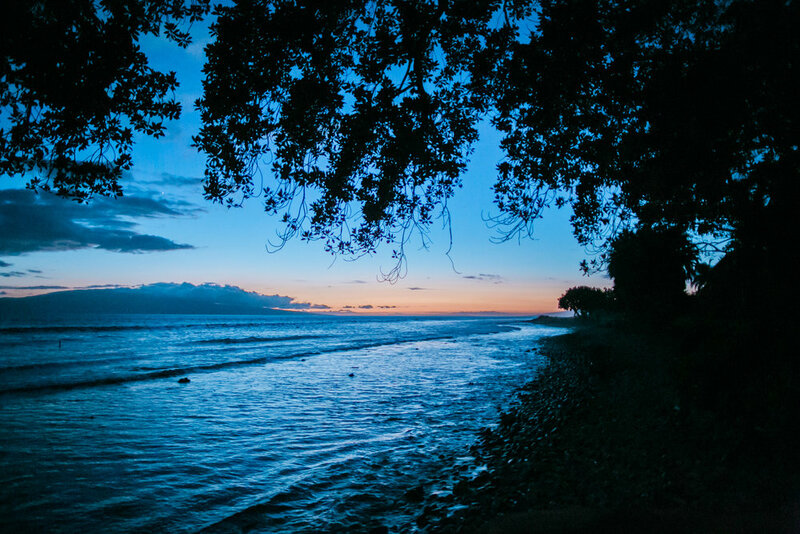 We specifically choose the island of Maui because it has it all: mountains, craters, waterfalls, beautiful beaches, amazing food, and cute towns. 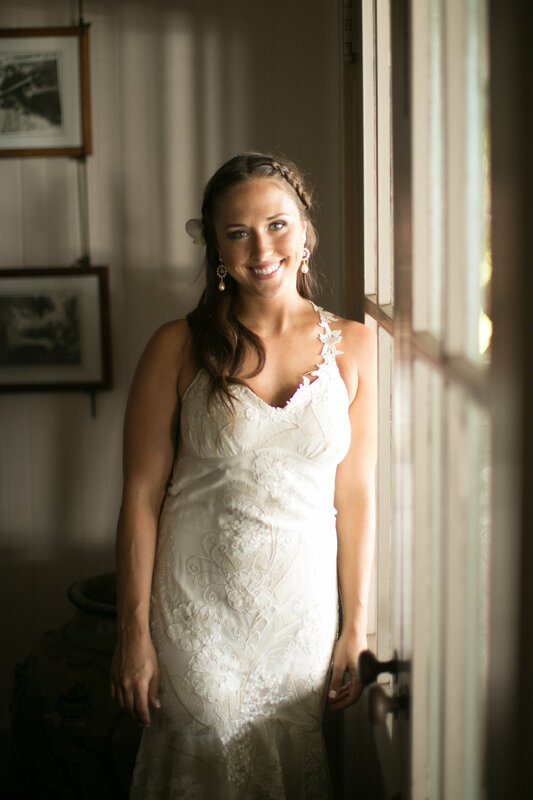 How did you choose the Claire Pettibone Devotion gown? 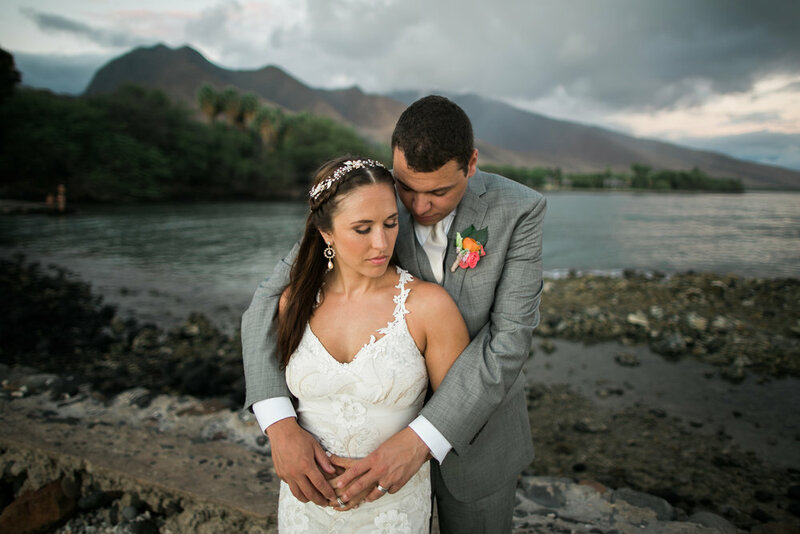 Of the dresses I tried on, the Claire Pettibone Devotion was the most "Hawaiian" to me. I love the floral embroidery and the hints of silver and gold though out the dress. An interesting back was important to me so I really liked the vine straps. The modified mermaid silhouette was perfect for the lush beach front setting. 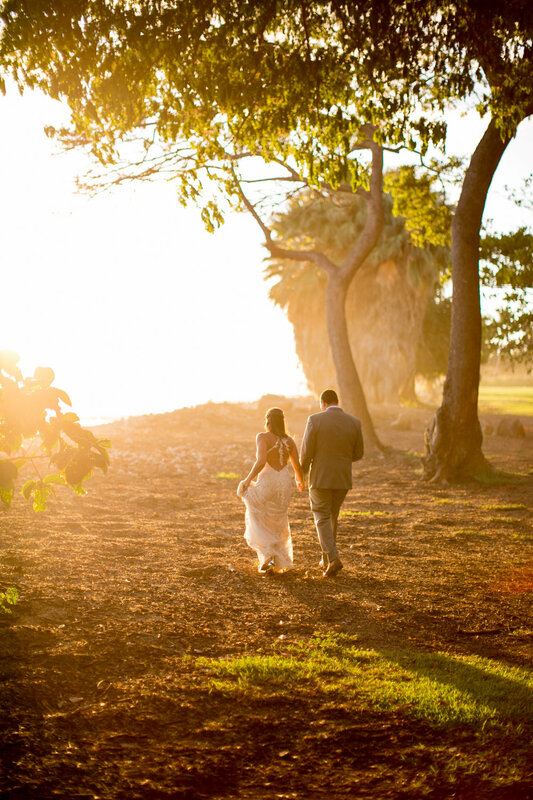 What is your advice for brides choosing a wedding dress for a destination wedding? I think if you truly love your dress, you can make it work anywhere, but I also think it's important to be comfortable. It was almost 90 degrees on our wedding day so I was happy my dress was lightweight and breathable. It was also super easy to travel with. I rolled it up in my carry-on and still had room for all my other wedding day accessories. Although I love the look of dramatic bottoms, the slim silhouette worked better for me. I was able to pick it up while walking on the rocky beach or though the dirt. 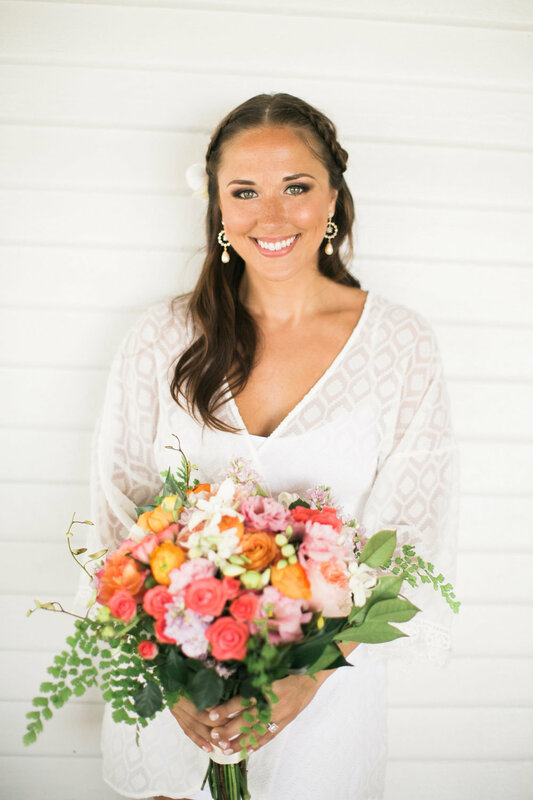 Do you love Megan's Claire Pettibone gown? Find your own Claire Pettibone wedding dress at our trunk show, November 6th-8th!